The first hat pattern release of my new collection is the Architrave hat! 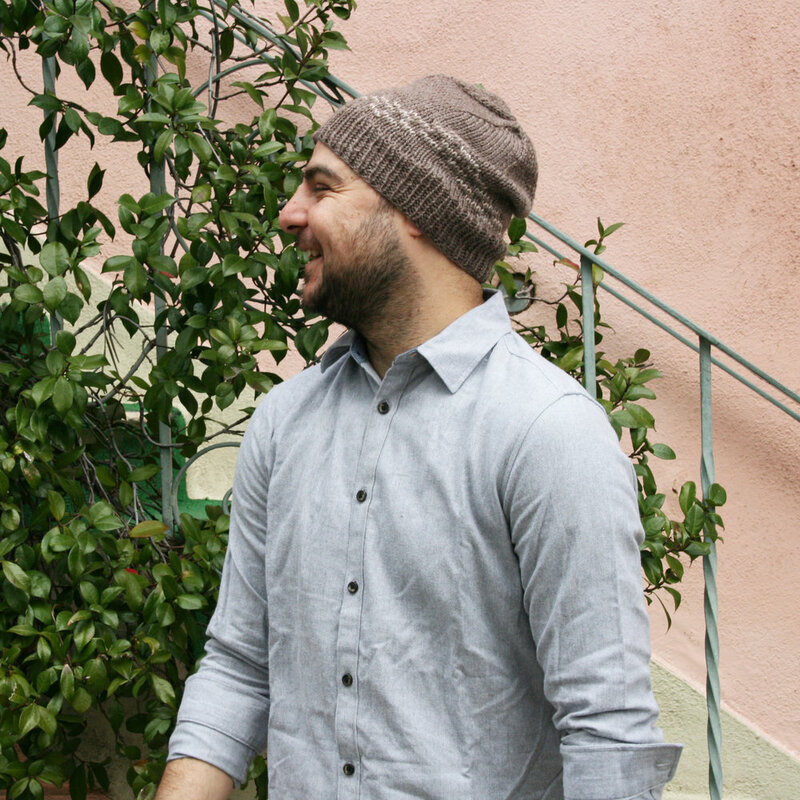 Inspired by geological and architectural features, the modern stranded colorwork design uses one skein of worsted weight wool for the body of the hat and less than 3 yards of scrap wool for the colorwork. Worked from the bottom up starting with 1x1 ribbing, the body of the hat is knit in stockinette working up to a series of simple K2T decreases. With only a few rows of stranded colorwork to knit, the design is easy and approachable for colorwork beginners. Architrave is a timeless unisex design reminiscent of desert mesas and pyramids built by ancient civilizations. The simple alternating colors create a unique and interesting design that is still neutral and easy to wear. The knitting pattern for Architrave is now available as a downloadable PDF! Get it here or download it from Ravelry here! happy knitting!